I'm Rebecca Murray, an Artist and Illustrator, currently living in Austin, TX by way of Birmingham, AL. I graduated from the University of Alabama at Birmingham in 2012 with a Bachelors of Science in Psychology. During my time in undergraduate studies, I had the opportunity to take numerous courses in Fine Art and Design that allowed me to further learn and excel in my preferred medium of pen and ink. I've been living in Austin for over six years and am happy to call it my home now! While I enjoy drawing a variety of subject matter, I have recently focused specifically on drawing animals. My love for animals is deeply rooted in my childhood, when I would bring all types of crawling critters or stray animals home with me. 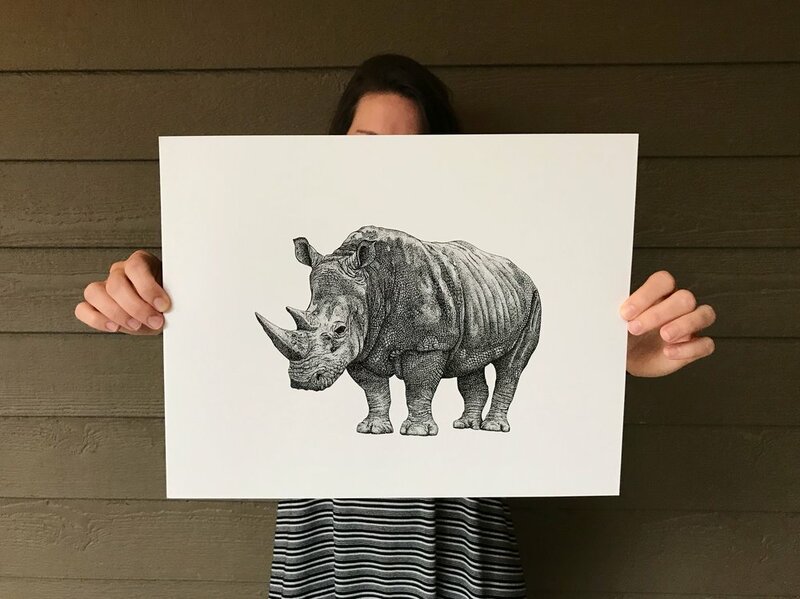 Drawing from this love, I've really enjoyed exploring different species of animals over the past few months and bringing them to life in my drawings. In my spare time, I enjoy being outdoors, running, hiking, traveling, and spending time with my tiny, five pound dog of fluff. Please feel free to look around my portfolio and drop a message, even if just to say hi!